All my life the Higgs was sort of a legend. Something like a unicorn: you know well how it's supposed to look like but you don't seriously expect to see it. Since last week it feels different. Of course, everybody from the CERN DG to common bloggers justly calls for caution and not jumping to conclusions. Of course, we've seen much larger excesses go away. Of course, there is statistics, likelihoods, look-elsewhere effects, and other attributes of civilization. But there's also the good old hunch. The latter, after digesting the totality of ATLAS and CMS findings, tells me there's about a 90% chance that the Higgs exists in the mass range 124-126 GeV. This high estimate follows from the remarkable consistency of the signal between ATLAS and CMS, and between different search channels. Moreover, that mass neatly fits into the ballpark suggested by electroweak precision fits. Last not least, most of the remaining Higgs mass range is either excluded or disfavored, except maybe around 119 GeV. In other words, I don't care much about the look-elsewhere correction because there isn't any elsewhere to speak of. Amusingly, bloggers seem too often to forget that being signal does not mean being Higgs. There is nothing wrong with statistical arguments as such but what they tell that there is signal and it is Higgs because we have assumed it is Higgs. We know that new physics must be there. We also know already now that 125 GeV is at the border of instability of vacuum and that new particles are required to resolve the problem. There seems to be also structure above 125 GeV: at about 139 GeV and at both sides of 300 GeV. There are actually three peaks in p-value distribution in Higgs to gamma pair signal in the region between 120-150 GeV. That these structures have signal cross section smaller than that for Higgs, does not mean that they are statistical fluctuations. For an alternative interpretation of Higgs like signal see this. announced revolutions never happen - that's also true for physics. there are enough clouds around for me - dark matter, dark energy, neutrino mixing. 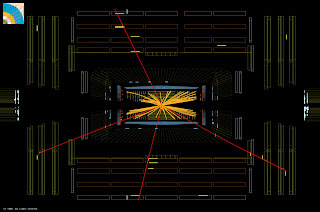 we'll see some new physics in our lifetime i am sure, it might just not show up at the LHC. "Of course (now this is a serious of course) we're in no position yet to make any quantitative statements about the properties of the Higgs." How do you reconcile this statement with your 90% likelihood that this is indeed the SM Higgs? And how about the large list of theoretical challenges associated with the minimal Higgs model? it is nice to see at least one (SwissLike)blog, which stays away from the stupid Sigma war, that consumed many others. I would not bother with DM, as it has weaker status than those above, hasn't it? Is there anything else? Ervin, I said 90% percent is the *hunch* that what they see is the Higgs. It will take a long time to prove that it's indeed the SM Higgs. what the LHC will in principle be able to observe is a new state compatible with a SM-like Higgs. Not more, not less. The precision will be bad in the beginning (20-50%) and get better at higher luminosity (around 10%?). For me finding such a state is the best argument ever to go ahead with another collider to measure the properties in detail (i.e. at the per-cent level), including quantum numbers, spin etc. This machine should probably be the ILC (which, via precision measurements, could also find small deviations from the SM...). Consequently, I see a very bright future for the field of particle physics, and the "nightmare scenario" should better be called "discovery of the century scenario". Now (or in 6 month when the case might be clearer -hopefully) is the time to go ahead! It has been obvious for a long time that there is some sort of deeper structure to the mass matrix, CKM matrix, PMNS matrix and the coupling constants of the Standard Model. But, it appears the only with almost all of the relevant numbers pinned down with some degree of accuracy are we going to be able to make the theoretical leap necessary to really glimpse the nature of that structure - at the very least as a set of phenomenological rules that set forth that structure with far fewer independent constants and offer insight into what a mechanism for those relationships might look like. Now, in late 2011, we have at least one significant digit values that are empirically supported for every single Standard Model parameter and it might just be possible to make that leap. The deeper structure that is revealed may not produce much in the way of "new physics", but it could at least ease the sense of incompleteness that has driven physicists so far. I also foresee the Higgs boson mass find, as well a SUSY exclusion ranges that continue to creep up with each new data release, as something that is going to encourage new HEP papers that have less of an "anything goes" attitude towards theory that we've seen in the last ten or twenty years and instead looks closer at what is within the realm of possibility either within the SM (a line of inquiry that BSM theory has suppressed even though there are lots of scenarios to explore) or with far more modest BSM assumptions. I do have to agree with wolfgang, however, that all the juicy undiscovered territory seems to lie in the area of neutrino physics. Tighter constraints on neutrinoless double beta decay, for example, could dramatically narrow the range of theoryspace. that was a quick punch. Anyway, is the following worth Your comment: atlas and cms reported about top mass. Their results differ more or less by 2Gev - that very same difference as in wouldBeHiggs reports. Is there any connection, what would be the explanation, or do i miss something. And secondly, 125Gev higgs implies top Yukawa equals one. And this value for Ytt is found to be low energy stable value in some susy scenarios. 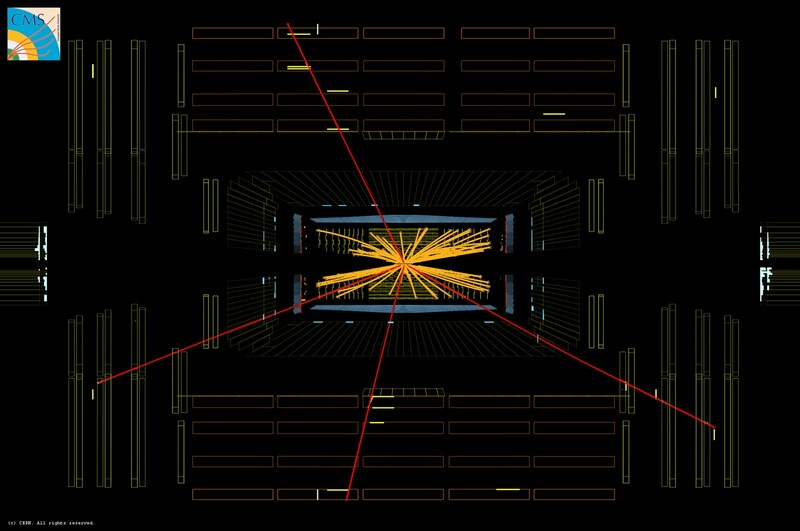 Is this higgs mass value a strong support of susy? Do you know how accurately they expect to measure the top mass with how much data? I once shared an office with Peter Higgs for a day in Santa Barbara. But let me admit that you're better if you're sleeping with him. I do not think that many models will be killed, but the parameter space of many models will be severely restricted. This was analyzed already in several papers for the MSSM, e.g. ResonAAnces fails to report the new LHC discovery of a new bottomonium resonance? If the Higgs really is ~125 GeV, it would probably be cheaper to (re)build LEP-III at 120% of LEP-II energy than to build ILC/CLIC. Synchrotron radiation power will be up 150% (1.2^5-1) vs LEP-II but the electric bill for a decade will be far less than the foregone capital costs. in 2006, upon observing the annoying agreement of SM in the B sector with the data, and the lack of other evidences, I bet $1000 that the LHC would NOT find SUSY -later I was brought to extend it to "no new physics" in 10/fb datasets. I think my bet is going to be quickly payable. I am going to ask Jacques Distler ($750) and Gordon Watts ($250) if they're willing to pay half of what they bet now, in order not to lose the full amount later. It should be fun to hear what they think now. Right Tommaso, these SUSY bets is easy money :-) Unfortunately, I'm afraid people won't pay before the ~14 TeV run, so it's a long term investment. Anon-2, it's not a botany blog, who cares about yet another bottomonium bound state? OK ... However the SM can't be really OK because of 1. neutrino mass (aside from >c issue), 2. dark matter inexplicable so far 3. dark energy not explicable either. And what about that weird data "bump" from the Tevatron in April ... Seems to me, stuff to work on. Like I said: "In a pig's eye". Dear Jester, right, I have prepared $100 for you already, but you will only get it when SUSY doesn't show up at 14 TeV. On the other hand, I hope that you know where to get those $10,000 you will lose to me when SUSY does show up because this could be earlier than that.